Length: 10" *Fitting: 1-1/4" Pipe **Attachment: Ø28mm (1-1/8 in.) SocketRemark: * Le.. Available Option:8” C-Clamp10” C-Clamp12” C-Clamp.. 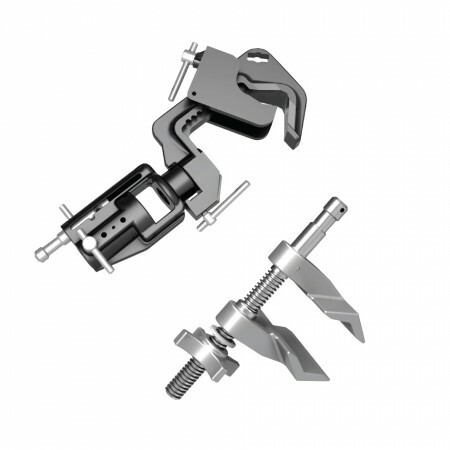 Available Option:4" C-Clamp with 16mm Stud (40704016)6" C-Clamp with 16mm Stud (40704017)8" C-Clamp ..
Max. Length: 550 mm .. Available Option:12" Furniture Clamp with Bar Clamp Adaptor18" Furniture Clamp with Bar Clamp A.. Available Option: 3" Jaw Clamp with 16mm Spigot - Centre10" Jaw Clamp with 16mm Sp.. Available Option: 3" Jaw Clamp with 16mm Spigot - End 6" Jaw Clamp with 16mm..